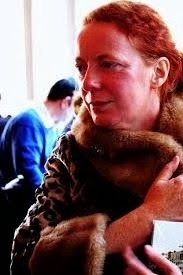 Irish Times journalist and travel writer Rosita Boland is also an aspiring poet. And more power to her fur coat. Everyone should give poetry a try. She first came to my serious attention when her article about the 2012 Cúirt Festival of International Literature appeared in the Irish Times. She had been sent by our paper of record to cover the festival. From the sound of it Rosita didn't enjoy that year's Cúirt. Her tone was that of a 1960s parish priest who, after the Stations mass in auntie Bridie's and uncle Pat's farmhouse, had suffered the indignity of having to wait to be fed like the rest of us, rather than being rushed to the parlour to breakfast (with the men). Her piece ignored most of the main festival events and concentrated on what amounted to a posh girl attack on the festival for being too inclusive. Rosita took particular exception to the fact that, at that year's Cúirt Over The Edge New Writers' Showcase event, audience members applauded after every single one of Kevin O'Shea's poems. It isn't easy, I do realise, for aspiring poets to listen to others get such applause. Whines such as Rosita's should be compassionately listened to, before one orders another - make that a double - brandy. Rosita's May 2012 article provoked a big Facebook reaction: every literary crank/fraud/failure in the country took a break from playing with themselves to click like. When the cranks, fraunds and failures gather on Facebook to like attacks on literary inclusivity, they often liken themselves to Soviet dissidents. Really, they are complaining about their last rejection slip. Or the fact that Cúirt didn't invite them to read that particular year. Yes, people are sometimes that simple, that sad. In today's Irish Times Rosita's target is Áosdana. Of course Rosita being Rosita she doesn't just come out and say it. In terms of directness she is, I think it's fair to say, no Christopher Hitchens. No doubt the aforementioned Soviet dissidents will be out and about soon to click like and comment approvingly. The only result of this gutless article will be to give succour to those who want to cut spending on the arts further. Fine Gael Junior Ministers everywhere will experience a warm feeling in their bits. Rosita appears not to like her fellow artists much, be they near beginners or at the top of their game. I feel sorry for her, it can't be easy being Rosita. 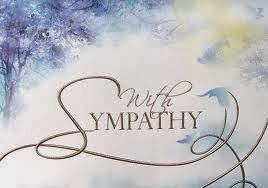 We should all send her sympathy cards c/o The Irish Times. I plan also to have a special Mass said for her. It will, I hope, be concelebrated by John Waters and Breda O'Brien.